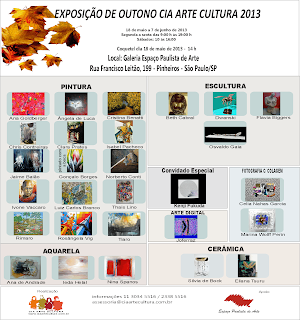 I'm inviting my friends to the Group Exhibition in São Paulo - 18/05. I hope you can be there!! I cannot be there as you well know, but I will be there nevertheless… in thought! Thank you for being such a friend.